I’ve been wanting to go to Policarpio Street years ago. 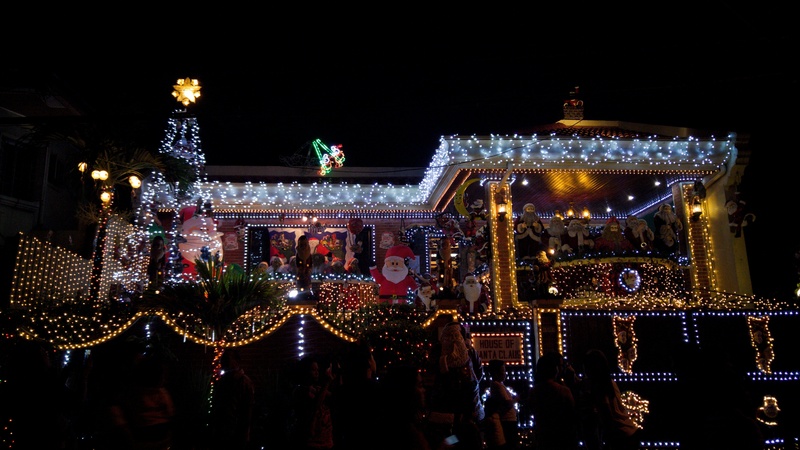 Every year, local news channel covers this street in Mandaluyong City because of the houses- which one cannot distinguish as houses anymore because every inch is covered with Christmas lights. How to go: From Boni MRT Station, ride jeepney with Acacia Lane signboard or any jeepney that will pass that lane (could be “Boni” or “Stop-N-Shop” signboards). Minimum fare. 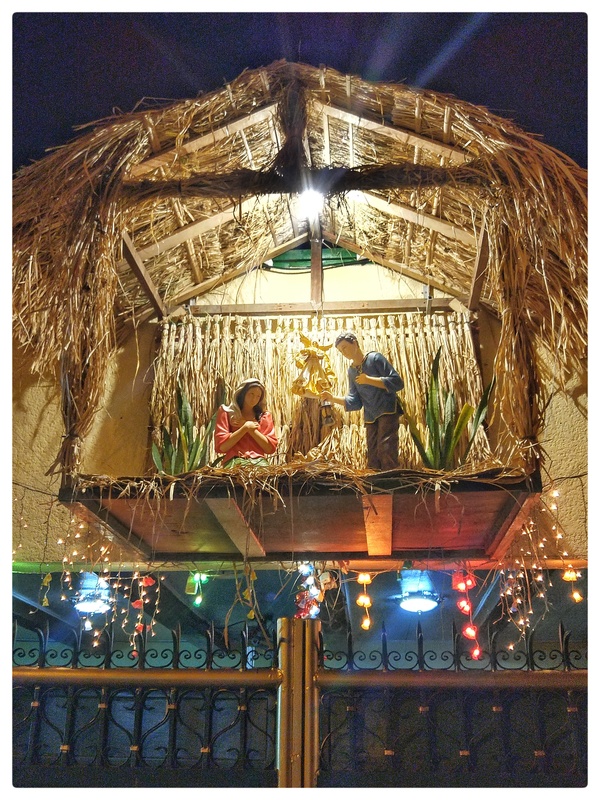 Honestly, there’s not much to Policarpio Street. There were 3 houses in that street that are worth seeing but that’s it. Bless those who shoulder the electric bill and decorations costs just to make other people happy! But the rest of the street is just overrated by so much media exposure. There were lots of small stalls or booths that sell cheap toys, food and even kitchen ware. We were done after thirty minutes or so. House that matters no. 3. This one is my favorite. Here to grasp some of the Christmas vibe. Even the palm trees of house no. 3 is decorated.